You have 8000 characters in the above space for which you can describe to the reviewers and the instrument scientists how valuable your project is.� The important things they need to know are why you need neutrons, what results you will get from the neutrons, how you plan to use the neutrons and why the project is worthwhile. Below is an example of the sorts of information you should / could put in to this proposal to help the reviewers in deciding if it�s worth the beam time, and there is also a structured layout that you can follow. You SHOULD NOT copy and paste any of the details but you can certainly use the structure and the hints given for compiling this section of your own proposal. � If this is a Mail-In Service sample, please highlight this information HERE, as the first words written. � It�s current known capabilities and uses as a compound. � It�s potential capabilities in the long / short term future. � Specify the capabilities you are particularly interested in. � Why are these capabilities important? The compound, X2Y7Z4 , is of interest in the scientific/industrial/medicinal/choose your own/etc world BECAUSE�. 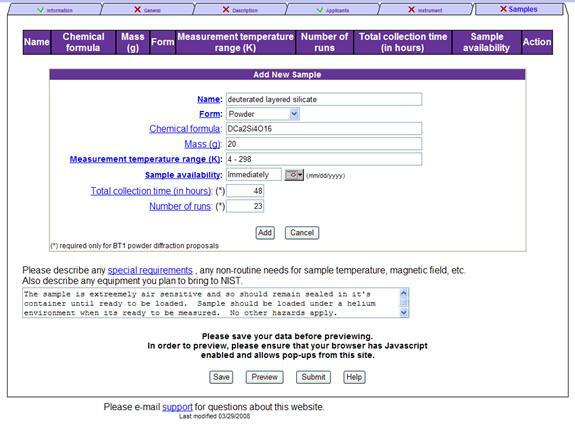 � What have previous experiments (XRD, NMR, Synchnotron, pressure, temperature, etc etc), either carried out by yourself or others, told you about the compound (s). � What does literature tell you about the compound (s). � What do other, similar and related, materials suggest to you about the way your compound (s) may react or be structured. � WHY DO YOU WANT NEUTRONS, and in particular powder diffraction, to analyze the compound (s)? � What do you hope to get from using BT-1 to analyze your sample (s). If relevant and required, you can include previous results such as the XRD patterns and a model for your estimated structure, there is a section for this later but you should reference it here as you mention it. 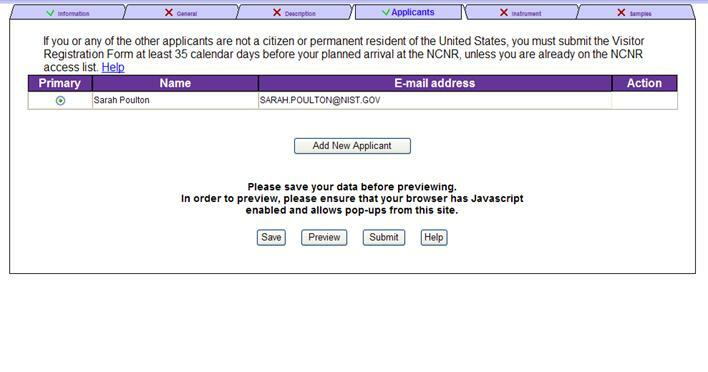 Please tell us, in as much detail as possible, HOW you would like to utilize the number of days you have requested. 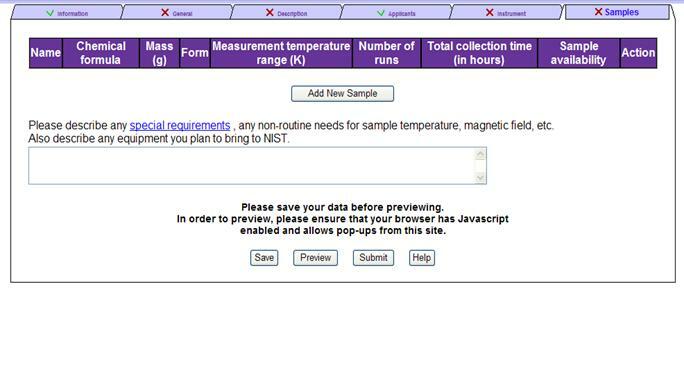 This information can include the number of scans in total, the number of scans per day or per sample and the duration of each scan.� You can detail the temperatures you would like to set, the pressure you would like to go to or the size of the magnetic field you would like to adjust.� If you know, you can include the monochromator and collimation settings you would like for each scan.� Include as much detail as you need but try to keep it realistic and in accordance with our capabilities at the NCNR. If you know which piece (s) of sample environment equipment you would like to use you can detail this here, as well as particular pieces that you do not want to use. 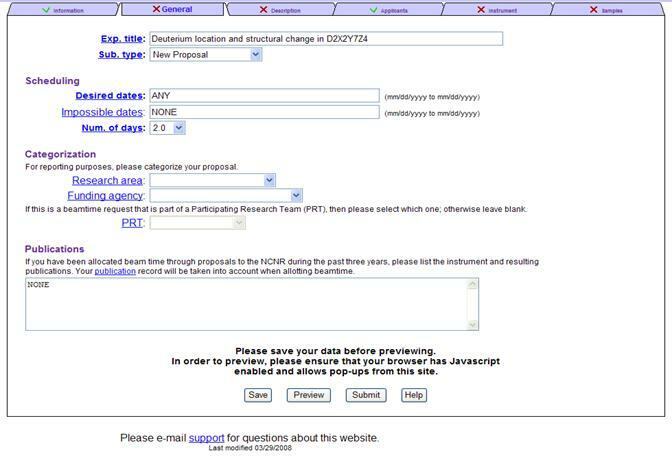 If you are unsure of how to plan the experiment then give as much detail as you can about the sample (size, texture, make-up) and about what you would like to get out at the end.� If the proposal is accepted then the local contact can use this section to advise you and suggest some possibilities for the set up. 1) Collect high quality data sets (8 hour scans each) at 4K (below the phase transition temperature), 150K (in the middle of the phase transition temperature) and at 298K (above the phase transition temperature).� We believe the Cu (311) monochromator with the 15� collimation to be the appropriate set up for this and will require 1 day of beam time. 2) Collect fast data sets (1 hour scans each) in 15K intervals between 4K and 298K.� This will enables us to follow the intensity and superstructure reflections through the phase transition and will require 1 day of beam time. From looking on the web, we can see that a low temperature displex which ranges from 4K up to room temperature may be the best equipment to use for this, though we are willing to take the advice of a local contact. Please provide us with appropriate material to back-up your thoughts and reasoning, when used in any of the above. This is a good opportunity to show us how good and / or interesting the previous work has been. If applying for the Mail-In service please state it, again, here and please attach MSDS forms with the samples when you send them. Click here to add your first, and multiple samples. Make sure you sample will be available!� Let us know if it will take some time to prepare. Note that the NAME and CHEMICAL FORMULA are different.� The Name MUST be written using words, rather than elements and numbers.